A few weeks ago I was experimenting with making hot chocolate from scratch using a base of cream and chopped chocolate and then mixing in a variety of other ingredients to see what happened. The short version is: “wonderful things happened”, and a longer version is on it’s way here once I’ve settled on a trio of recipes that I like the most. 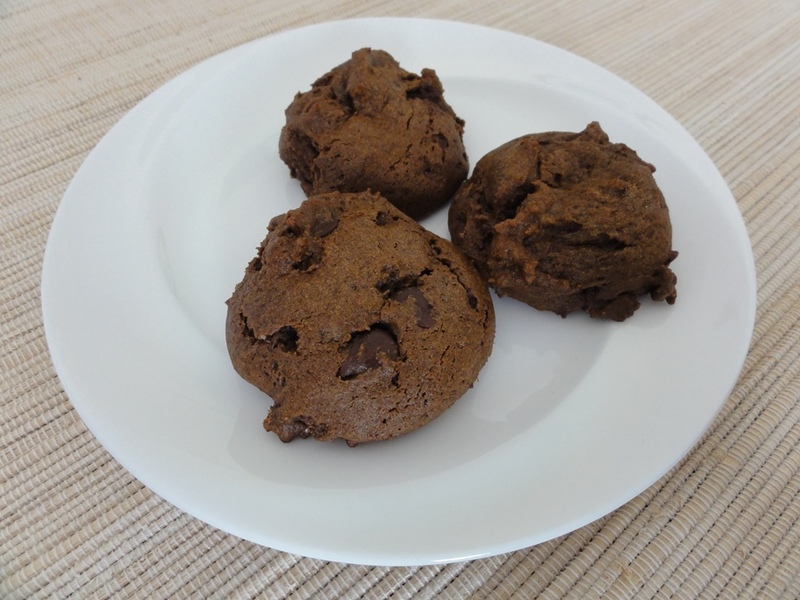 One of those experiments involved unsweetened chocolate and molasses and after recovering from the resulting delirium I decided that I wanted to make a cookie sweetened with molasses. 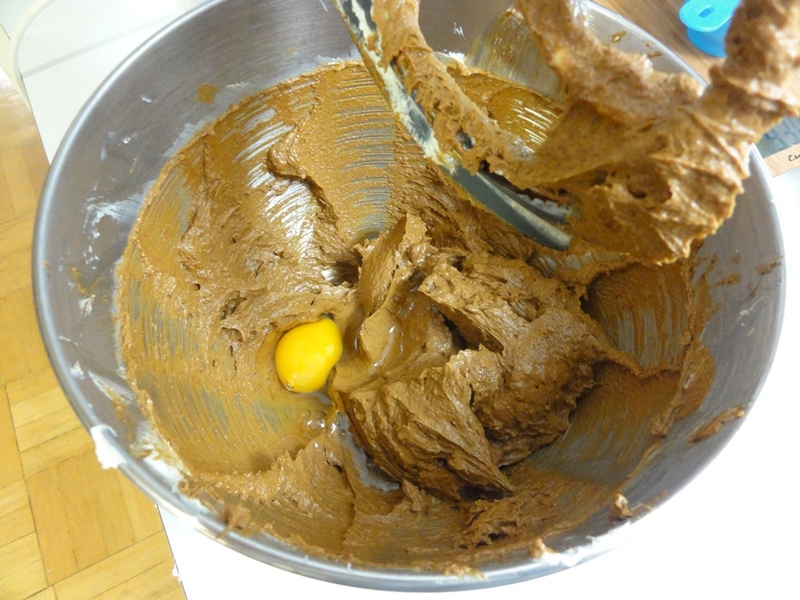 I settled on Shauna’s recipe at gluten-free-girl for Soft Molasses Cookies. 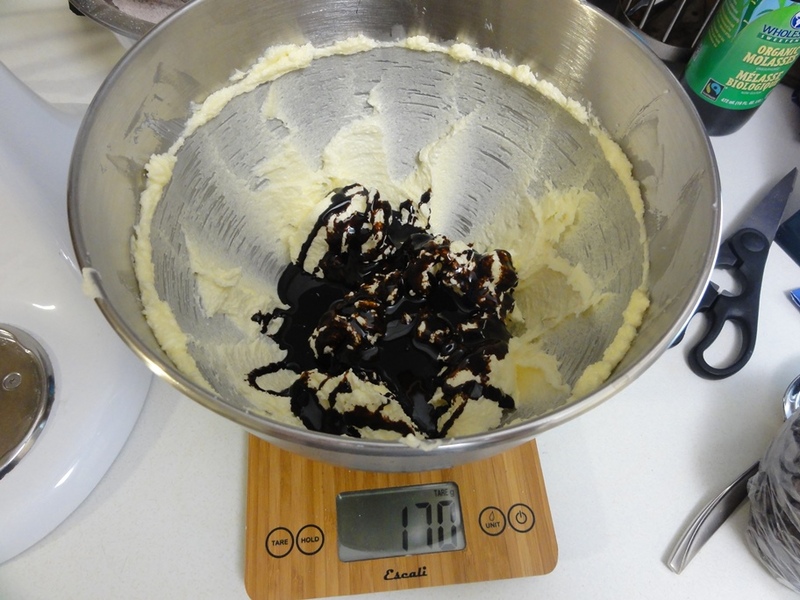 A quick warning for this recipe: you will need a kitchen scale. The major ingredients are all listed by weight in the original recipe and I held true to that. The explanation accompanying the original recipe is worth reading through and I agree that it gives you a more accurate and reliable result. My scale is also one of my favorite kitchen appliances, which would be one of several reasons this recipe appealed to me. Enough words! Let’s see some of these amazing cookies! I did make a few adjustments to the original recipe but I stayed true to the major ingredients. 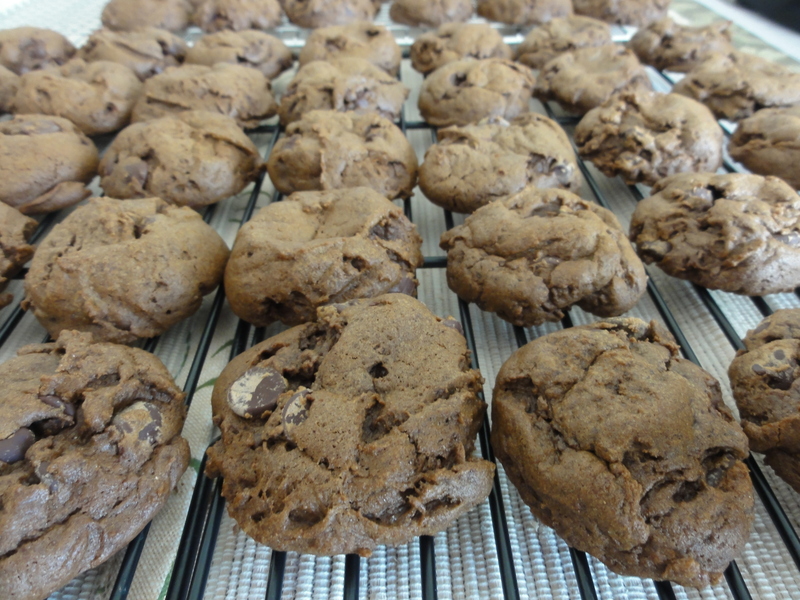 The biggest change was the 200g of chocolate chips because the thought of gooey chocolate in a soft molasses spice cookie was too great to pass up on. I also skipped the fresh and crystallized ginger. I’m not a huge fan of ginger and I wanted the spice to be subtle in these cookies instead of strong and that worked out well. 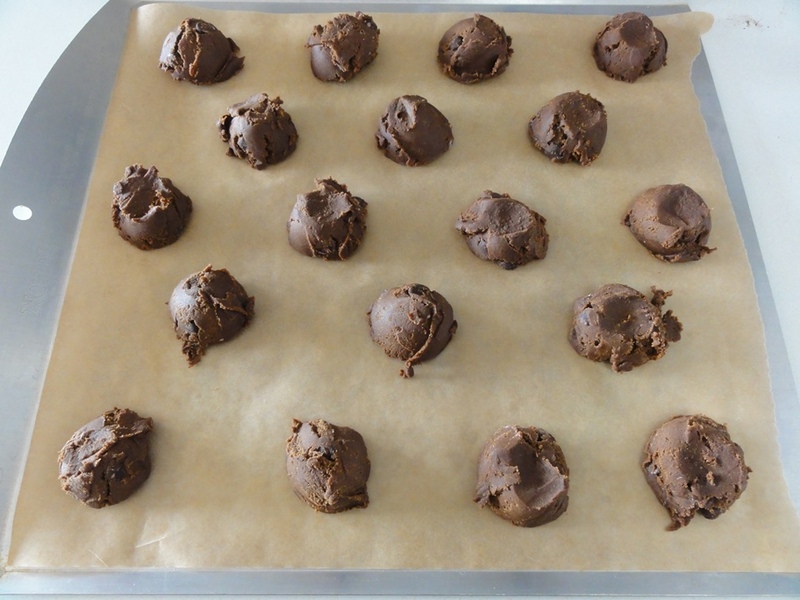 The crystallized ginger chunks would definitely have been too strong for me and so the chocolate chips were, in a way, a replacement, as was the cocoa powder for the fresh ginger. Shauna is an advocate of avoiding gums in recipes and I second that notion but didn’t have ground chia or psyllium husk on hand as her recommended substitutes, so I used xanthan gum. 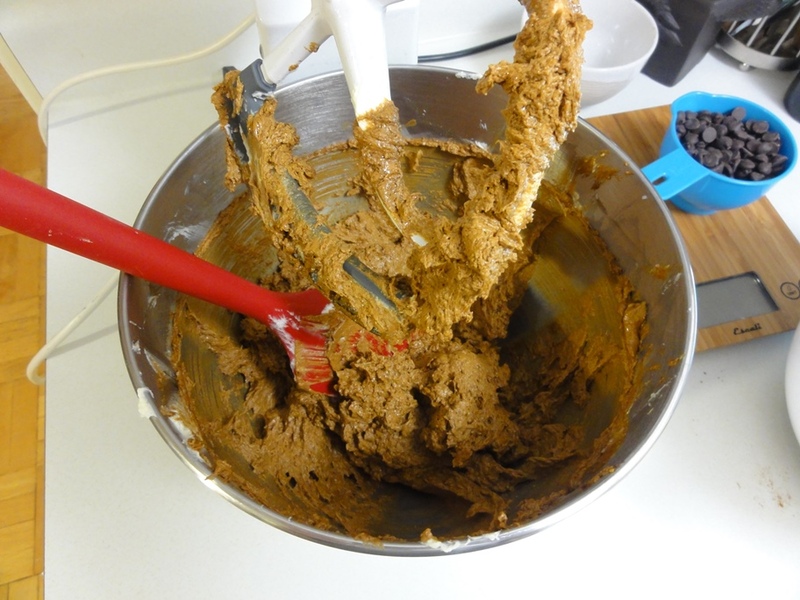 I think that one of those three binders would be necessary; these cookies hold together well and 1 tsp of xanthan gum is, based on my experience with other recipes, quite a lot, and so credit for that aspect of the texture may well go to the gum. Lastly, I skipped rolling the dough in raw sugar, just to cut the sweetness a little bit. All that being said, the majority of the recipe is still the same as the original and it’s a wonderful winter cookie. It contains more butter than I’ve ever used in a cookie recipe, more molasses than sugar, just enough spice to complement the rich molasses flavor perfectly, and a soft texture that a few days later is still holding up fine despite the leftovers having been kept in my fridge. The balance of flavors is superb and is coupled with the perfect kind of texture you’d expect of a soft molasses cookie. 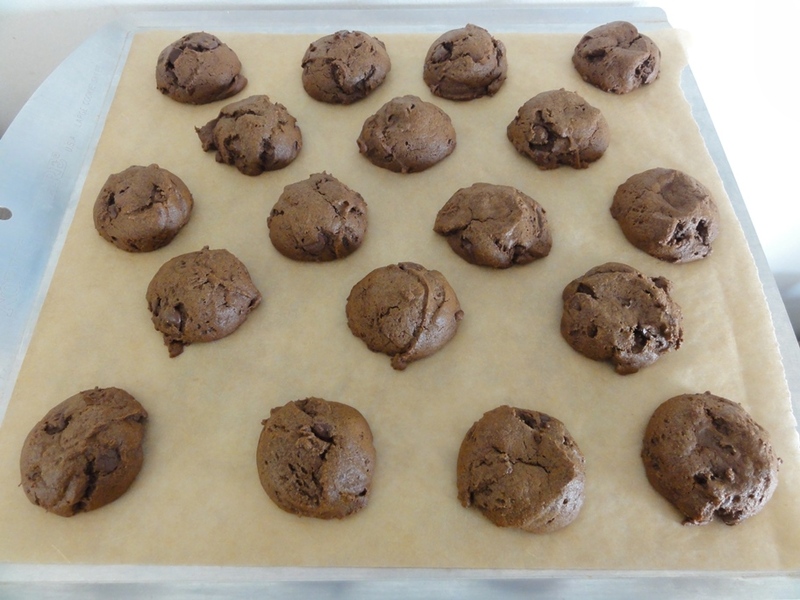 One last note of warning: the dough for these cookies sets up overnight (~12 hours) in the fridge. You might be able to get away with less but I consistently came across this overnight chilling step when researching molasses cookie recipes so I get the impression that it’s worth it. Making these cookies takes a little bit of extra planning but they are totally worth it. 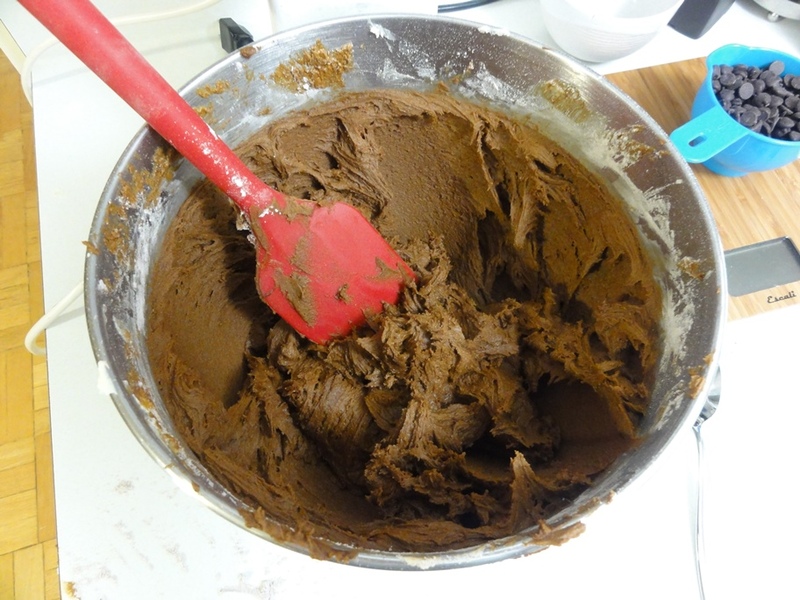 In a medium or large bowl, whisk together the flour, baking soda, salt, cinnamon, ginger, nutmeg, xanthan gum, and cocoa powder. Add the molasses and blend until well combined. 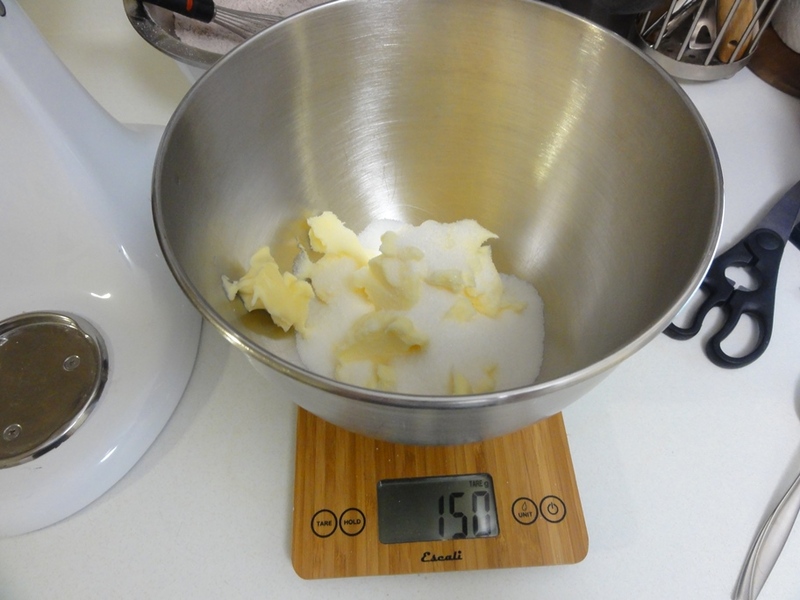 Add the dry ingredients slowly, no more than 1/4 of the volume at a time, and blending until well combined each time. 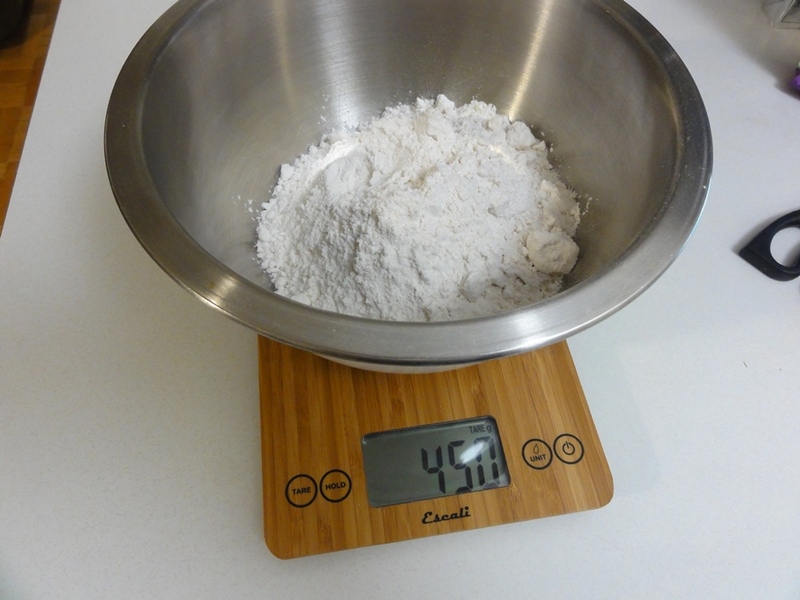 Drop tablespoon-sized amounts of dough (~20-22g) onto the lined baking sheets. Bake for 9-10 minutes until the edges are crisp and the middles are slightly firm. Let cool for 8-10 minutes on the trays and then transfer to wire racks to cool completely. As I mentioned earlier I regularly came across the overnight chilling step for molasses cookies as a general rule. The range varied as high as two days though, so I think it’s fair to say you’ve got 12-36 hours to play with and if you skip a day you’ll be okay. The dough is exceptionally sticky before being chilled but if you could manage to roll it in wax paper (I wouldn’t even bother trying with plastic wrap) in small-diameter rolls, that would make the process of getting the dough on the trays as simple as cutting off slices with a knife and would save you some preparation time. 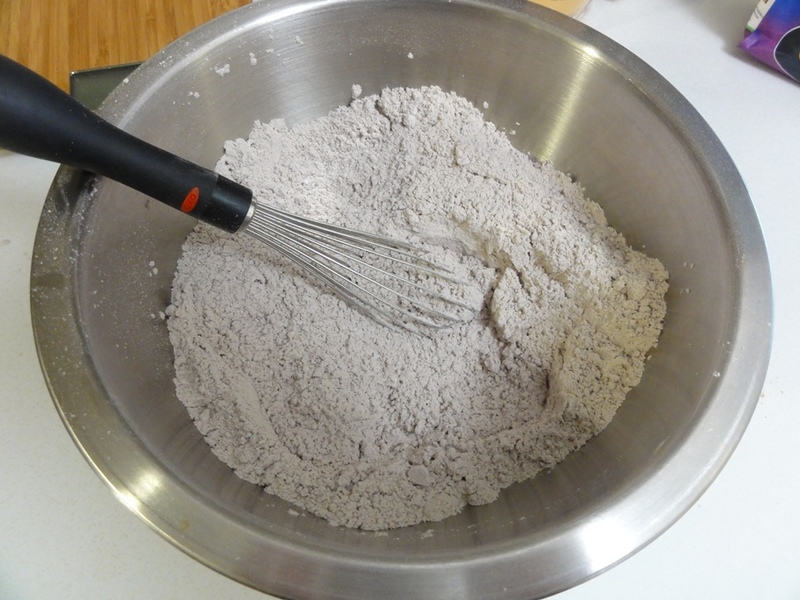 This is around two cups of flour, so you’ll want a decent-sized bowl to make sure it doesn’t spill over the side when whisking it all together. 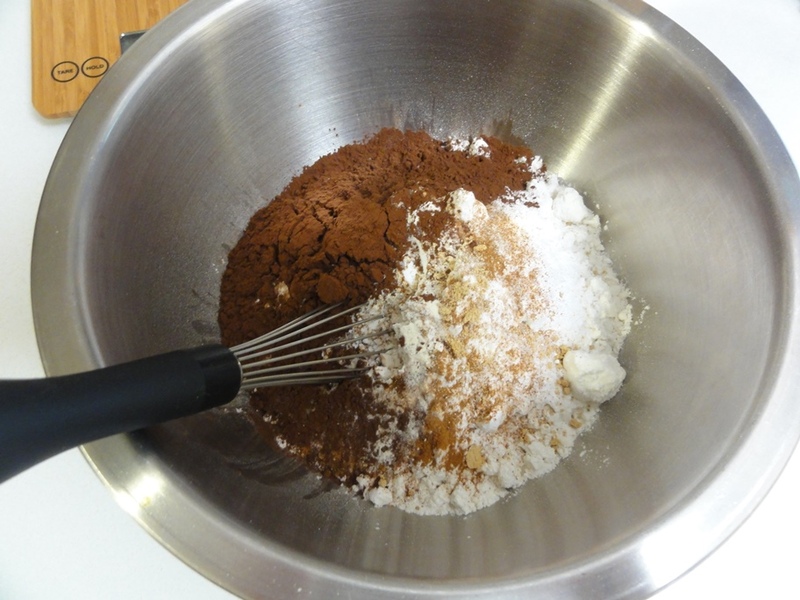 The cocoa powder and spices conveniently help you determine when you can stop whisking; once the mixture is all the same color, you’re done. 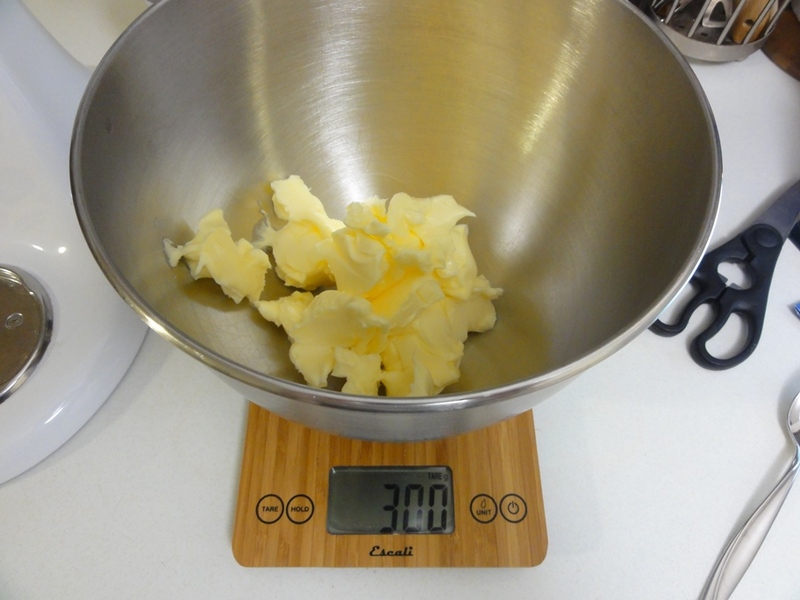 300g is just shy of three sticks of butter. That’s a lot of butter. I’m using my stand mixer’s bowl directly here and just hitting the “tare” button to reset the scale between adding ingredients. …and a bucket of molasses. At this point, inhaling near to the mixing bowl may result in feeling light-headed and fits of uncontrollable giggling. The wet dough will be a little messy; be careful of turning your stand or hand-mixer up too high, or spinning your arms too fast if you’re doing this the old-fashioned way. The dough gets sticky in a hurry when you’re adding in the dry ingredients (this is one reason for refrigerating it; forming cookies with the fresh dough would be all but impossible). Take it slow and don’t add more than a quarter of the dough at a time; I worked in portions of about 1/6th of the original dry mix. 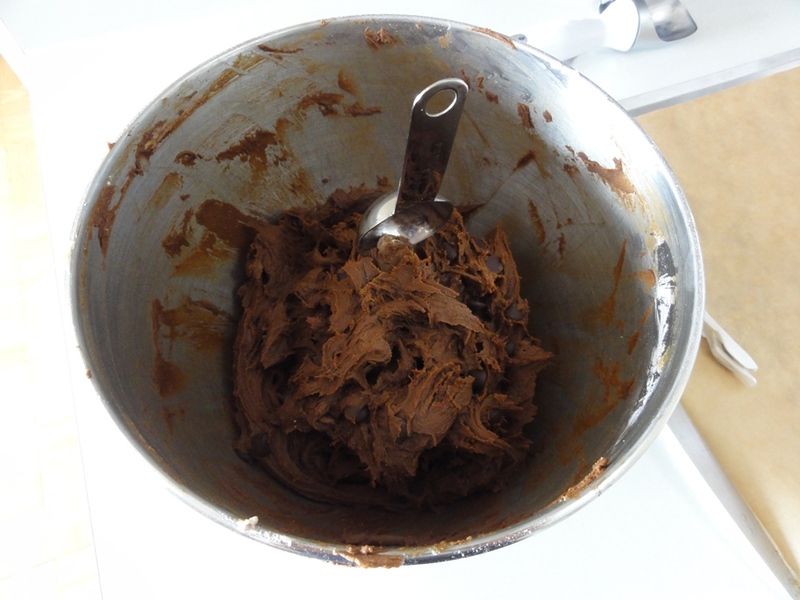 Towards the end it will probably be too much for your mixer and you’ll want to resort to a spatula and elbow grease. 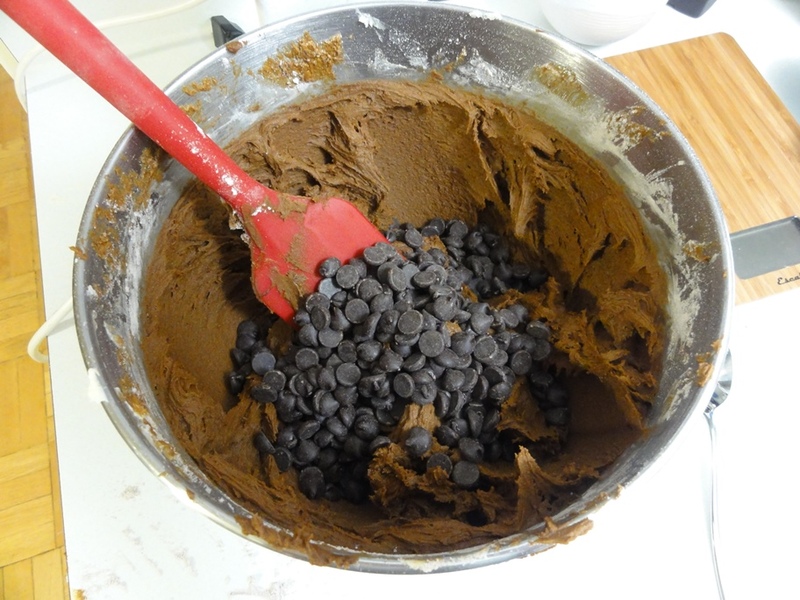 Fold in the chocolate chips and you’re ready for the fridge! In the morning (which you can tell by how overexposed this photo is) you’re ready to go. The dough is going to be very stiff though, as evidenced by how little is needed to hold up my tablespoon. Fortunately your arms rested overnight after blending the dough, and you’re ready for some more exercise! A small ice-cream scoop would be helpful in forming the dough, and likely be less tricky than using a tablespoon. Looking at the cookie dough on the sheet even makes me think of ice cream…and now I want molasses spice ice cream! The cookies do spread out a bit in the oven so be sure to give them some room to themselves. 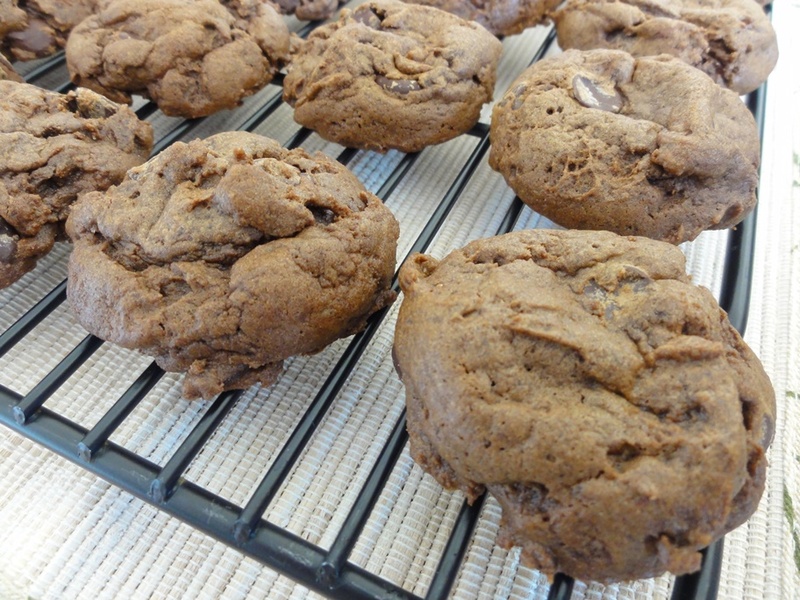 And now the reward for all your hard effort: soft molasses spice cookies on a plate! Mmm I love Molasses in cookies! These look soo good!